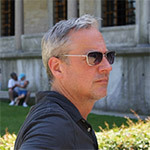 As author and chef/owner of popular New York City restaurant The Red Cat, Jimmy Bradley presides over a neighborhood joint that has become a destination for guests from around the city, and the country. A purveyor of straightforward, occasionally irreverent food and contagious conviviality, all of it wrapped up in an attitude-free package, Jimmy has helped contemporary diners rediscover the intrinsic value of classic Mediterranean cuisine, reinterpreted for a modern American clientele. Bradley has been featured in New York magazine, Food & Wine, Bon Appetit, and The New York Times, and on television programs such as The TODAY Show, Bravo’s Top Chef Masters and the CBS Early Show. 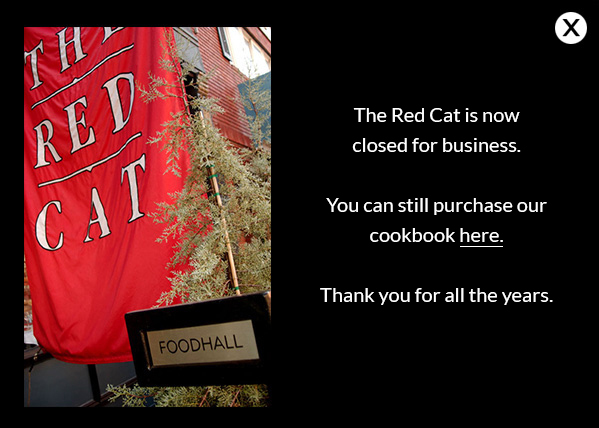 His first cookbook, The Red Cat Cookbook, was published by Clarkson Potter in 2006. 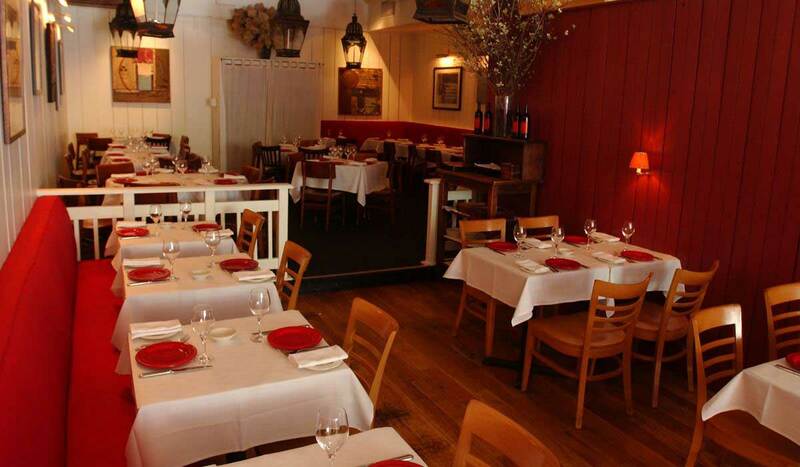 Consider The Red Cat for your next private event. Whether you’re hosting a birthday celebration, wedding reception, or looking for the perfect venue to impress your clients, The Red Cat’s warm and inviting setting is suited for every occasion. Owner Jimmy Bradley and Chef David Battin work with each party to create a personalized menu elegantly showcasing market-driven dishes with bold flavors. To complement the food, we have our beverage manager, Randall McCorskey, pair specialty cocktails and wines from our extensive and carefully curated list. The Red Cat is available for private events up to 70 guests seated and 100 for standing reception. We also host semi-private seated events for up to 45 guests. The space is available during the hours of 11:30am and 3:30pm for lunch/brunch events and available for dinner events between the hours of 5pm and 1am. Please email us to find out availability, costs, and current menus. Thank you for years of great meals. Well that 20 years went fast!! Cheers to you all!!!! On to the next adventure...may it be a GRAND SUCCESS!!! Godspeed, Red Cat! Thanks for the delicious food. What a wonderful place. It will be missed. Thank you!! Jimmy Bradley I’ll never forget my first meal there- your personal touch on this wonderful place was always felt. May all your future endeavors be just as successful. So glad to have been able to frequent your place over the last 20. Prost. gift cards or to prepay. Experience the fine art of giving A Gift Certificate from The Red Cat makes the perfect gift for co-workers, friends and family.